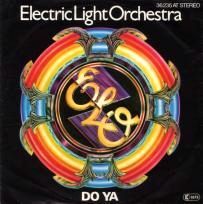 "Do Ya" was written by Jeff Lynne for the British rock band The Move in 1971, and was originally titled "Look Out Baby, There's a Planet Comin'." ELO recorded this in 1976 on their album A New World Record. It went to 24 on the Billboard record chart. Do you remember this song? Have a listen below. I'd love to hear from you in the comments, below.